Thread: Stuff that makes you get pissed! That stretch of Interstate between Onalaska and La Crosse where people think they can merge going 45 and continue going slow until their next exit. They might even meander about the center line. If you're really lucky, you'll get trapped between two of these guys on either side of you, causing you to miss your exit. There must be some kind of cosmic force that attracts idiots to this location. I've travelled far and wide, but never seen DAILY ocurrences of stupidity to this magnitude on such a short stretch of road. absolutely hilarious description Too funny. I used to have only interstate travel to & from work---but I was the nut using exit ramps and the shoulder to pass idiots (5.0 -God, I loved that car *sigh*). 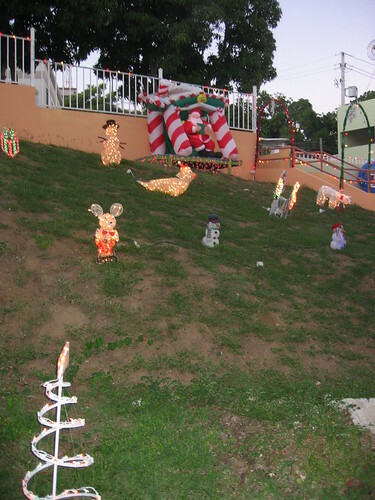 Really bad outdoor Christmas decorations. There are sooooo many more, just scratching the surface here.